These exciting events are not to be missed! Sign up here for our email notifications and be the first to hear about them . Below is the Calendar of the upcoming Windsor Oaks events. I hope that it corresponds with your upcoming travels to the area. If you would like to RSVP for any of them, please email wine@windsoroaks.com. We will be featuring our new brand from our estate! The Food & Wine events are the premier epicurean lifestyle events to attend and we are proud to be part of this. 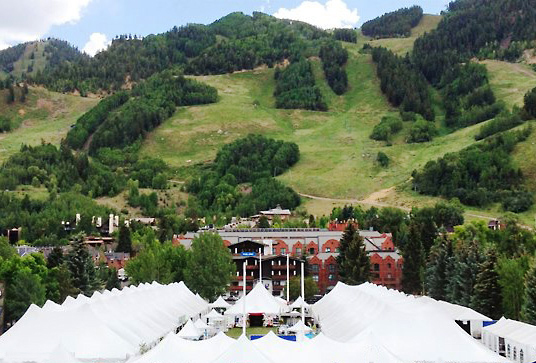 Throughout the weekend you’ll enjoy intimate access to the pinnacle of culinary and wine talent. We invite all Friends of the Vineyard Wine Club members and their guests to visit us and pick-up your Spring shipment. We’ll be pouring all Spring shipment wines, and attendees will have the opportunity to purchase additional shipment wines for an incremental 5% discount on top of your current Club Member discount! Along with wines, enjoy delicious, festive Mexican Fare and take a swing at breaking our piñata filled with special prizes! Please RSVP by April 30th – we look forward to seeing you. Event Price: Complimentary to all Wine Club members and their guests. GROUP LUNCH SPECIAL – book a table for lunch and receive an amazing deal! 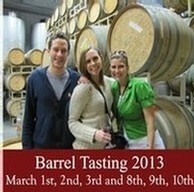 Tickets to Barrel Tasting can be purchased here at the door! Can’t make the event? We will be offering the futures discounts to anyone throughout the month of March. Call us or email to place your futures order. Windsor Oaks Vineyard & Winery is pleased to announce its participation in Wine Road’s 35th Annual Barrel Tasting Weekend, March 1-3 and 8-10 from 11am to 4pm, daily! RESERVE YOUR SPOT NOW FOR OUR WINE SENSORY SEMINAR! Hobie Wedler, blind since birth and a PhD candidate in organic chemistry at UC Davis will be leading 6 Wine Sensory Seminars at 11:30 am and at 2 pm, Saturday and Sunday 3-2 and 3-3, and again on Sunday 3-10. By removing the sense of sight with a blindfold, participants will experience wine to a depth that will surely be unforgettable! Spots are already filling fast, so call the hospitality team at (707)433-3810 to reserve your spot now! Don’t forget to take home your current favorites to drink now! We will be serving a wonderful culinary treat you won’t want to miss! If you are unable to attend, don’t worry; this discount is extended through the end of March! Raise a glass with us in a toast to the future, and stock your cellars with this incredible deal! We look forward to seeing you in the Barrel Cellar! We will be pouring at one of the best and most unique tasting events in California! This is the most comprehensive tasting of California wines in the San Diego area — the largest number of wineries; an enormous range of varietals; wine growing appellations from all over the state. This is a Family Winemakers tasting, which means that many of the wineries are small (under 5000 cases), have limited marketing outreach, and will be represented by family members. Over 25 wineries in this year’s tasting will be pouring with us for the first time, giving you a taste of the new kids on the block. You can sample new releases from your classic favorites and from wineries just selling their first vintages. Check out varietals you’ve never heard of (Vermentino? Tannat?) or your best-loved Cabs and Chardonnays. This well-respected tasting is a once-a-year opportunity to tour and taste California’s wine country under one (very large!) roof. Your ticket includes: Unlimited access to 150+ wineries from 20+ California appellations pouring over 30 varietals and 500 different wines; commemorative wine glass; a great variety of Kerrygold cheeses; on site deli. Wine orders may be placed at this tasting, to be shipped from the winery. Many wineries will be offering special pricing on shipping and/or select wines. Windsor Oaks Vineyards & Winery is participating in Wine Road’s 21st Annual Winter WINEland on Saturday and Sunday January 19th and 20th from 11:00 am to 4:00 pm. The Windsor Oaks Estate is uniquely situated on two renowned AVAs: Chalk Hill and Russian River Valley. Our 710-acre estate is only open to the public 18 days a year! We invite you to visit us during Winter WINEland and taste our award winning, small production wines. Sounds tasty? Stick around for tastings of our other incredible wines, including our Russian River Valley Pinot Noir and Chardonnay! Tickets can be purchased at http://winterwineland.eventbrite.com/ and make sure to select Windsor Oaks as your check-in location for the event and receive club member privileges for the day! Including access to our Club Member Salon featuring all of Renee’s wine and food inspired merchandise. We will have additional (OUT OF THIS WORLD!!) food pairings and 15% discount on wine purchases. Celebrate the season during our Holiday Open House. The cellar doors will be open for complimentary wine tasting featuring new releases and last chance wines, gift shopping with fabulous gift baskets from Renee’s, wine specials, complimentary gift wrapping and warm snacks. The whole family can enjoy our Azteca and decadent hot chocolate bar with plenty of toppings. Delicious treats are provided by Adafina Culinary using Sonoma County ingredients. Beats a day at the crowded mall! Past 2012 events: Don’t miss next year! Windsor Oaks is pouring our Pinots at the Ninth Annual Pinot OnThe River event in downtown Healdsburg. We are thrilled to be participating among 100 wineries from all over the West Coast and to share our wines with Pinot enthusiasts. Pinot On The River is a fun filled weekend of Pinot Noir, in the beautiful Russian River Valley town of Healdsburg, CA. Taste current releases, special bottlings and library wines from over 100 top Pinot producers from up and down the West Coast at this “full immersion” walk-around tasting. It’s a Sonoma County wine weekend you won’t want to miss. Calling all Wine Club members! Join us as we celebrate the harvest bounty of our beautiful Sonoma County and the hands of the many people that make it all possible. It’s the hands that work our vineyards and farms; the hands that make our wine and prepare our food. Most importantly, it’s your hands. The hand of our family with which we get to share the fruits of our labor. The day is filled with celebrations starting with light appetizers and tasting in our Hospitality Salon. Later, we will make our way up to a luncheon on top of our beautiful Block 23. Lunch will be served family style at long community tables, and will include gourmet wood fired pizzas and salads. This bountiful feast features all farm fresh, Sonoma County sourced produce and meats. We will be pouring from a wide selection of wines, including many new releases, library and limited wines as well as magnums. After dessert, we will continue the festivities with music by local band The Rolling Blackouts. Not a Wine Club member yet? Join today! Event Price: Club Members-$45 Guests-$55 Click here to purchase tickets. Come discover the wonders of the harvest season with an up close look at the hands which make it all possible! Activities will include freshly pressed juice tastings in our winery, live picking demonstrations, vineyard tours and finished wine tasting in our hospitality salon. Test your new found knowledge and play “Name That Grape” for a prize! Contestants will have a chance to inspect clusters from some of the 17 different varietals we grow and guess which varietals they are. Dance to live music playing throughout the day from the local band The Rolling Blackouts. Event Price: This event is complimentary! Take a swing at breaking our piñata filled with special prizes! All are welcome Sunday to wine taste by our Pinot Pond. After your vineyard tour, relax and sit in the sunshine with a pre ordered plate of BBQ or bring your own picnic. Come join us for a spectacular vineyard experience at “Tour de Cru.” We are open August 4th and 5th from 8 am to 4 pm for an adventure filled weekend of hiking, biking, wine and food. With 710 private acres, 400 of which are dedicated to open space, you will have the chance to ride through trails of all levels never before open to the public. Following your active morning on the trails, you will be treated to a buffet lunch and wine tasting of our award-winning wines. We kindly request all lunch tickets purchased by August 1st. Enjoy complimentary bike valet services hosted by the Sonoma County Bicycle Coalition. You can leave your bike in safe hands as you enjoy the afternoon. For our family in the Wine Club we will have a special VIP Club lounge set up inside our new tasting salon. We will be opening up some previously unavailable rare library wines for tasting and purchase, as well as debuting our new release 2009 Sangiovese! Light appetizers paired with the wines will also be provided. For all newcomers, we are offering a $10 credit towards your purchase of 4 bottles. Tickets: Friends of the Vineyard Club members are complimentary. Add a lunch buffet and glass of wine for $20. Please choose the $35 ticket price, your club discount will automatically apply at check out. Public: $15 for entry and wine tasting, $35 for entry, lunch and glass of wine.